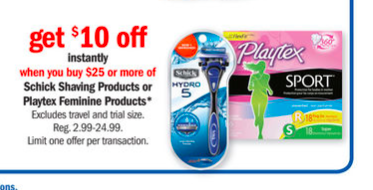 Buy $25 or more of Schick shaving products or Playtex feminine products and get $10 off instantly! Find out more about Shopmium and how it works here! Thank you to Jeremy King for helping to verify prices in store!